We'd be lying if we said we didn't get a little giddy any time we're praised for making good coffee. Even your tiniest compliments put a little extra skip in our step and spur us on to work even harder. 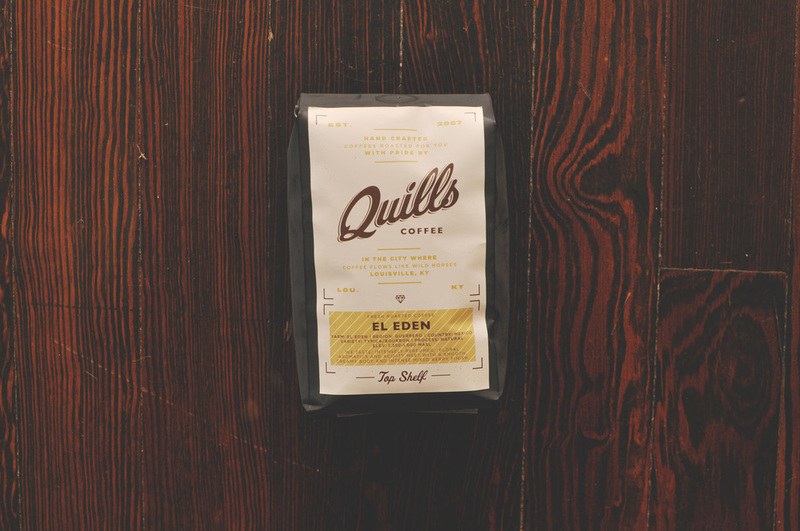 And It is with this deep gratitude that Quills excitedly announces the honor of our own El Eden's selection into Craft Coffee's September box. Craft Coffee is a coffee subscription service that allows patrons to receive monthly tasting boxes featuring three (likely new-to-you) premium coffees from roasters around the country. The selected beans are chosen through a scrupulous blind evaluation performed by an expert tasting panel. You can find much more about this service here. -- The coffee was blindly cupped through several rounds of tasting, alongside 72 other coffees from some excellent roasters. Only three coffees out of 72 were selected. The panel looks for coffees that are interesting, unique and completely free of defect and this one fit the bill. Craft puts it like this: "With less than 6% of the coffees we sample making it past our experts' palates, Craft Coffee is more selective than Harvard!" -- This is only the 3rd Mexican coffee Craft has ever featured in over 2 years. Mexican beans don't have the greatest reputation in boutique coffee. They were blown away by this one on every level. -- It is very common for Craft to receive samples from roasters that they have never heard of. What is not common is for those unheard of roasters to get in to Craft's box on their first try. In fact, QUILLS IS THE FIRST ROASTER EVER to submit to Craft as a roaster that they hadn't heard of AND GET IN TO THE BOX ON THE FIRST TRY. Quills will now be exposed to 2000 coffee nuts who have never heard of us, and Tiger Orchid's story of working with these underprivileged farms will spread much more widely. We will also be bringing in more of this coffee, to keep it around longer and sell more of it after we send out 500 lbs. to Craft in September. Of course you can pick up your own bag online or in any or our stores. And if you haven't previously- please read more about Tiger Orchid and this stellar Mexican coffee's unique dry process here. Thanks so much for being our most amazing fans and supporters!